Naches Meadows is a 44 lot residential subdivision (18 lots in Phase I) located within the Town of Naches. 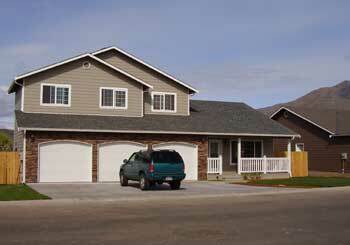 The development features underground utilities, sidewalks, street lights, and friendly small town neighbors. Naches Meadows offers an exceptional option for a second home, retirement home, family residence or anyone looking for a better quality of life away from the hustle and bustle of a big city. 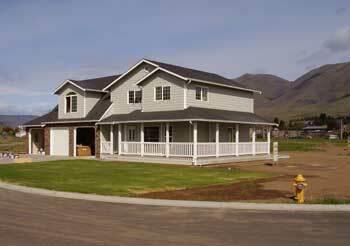 The subdivision is surrounded by beautiful views of Mt Cleman, the scenic foothills of the Naches Valley, and spectacular orchards. 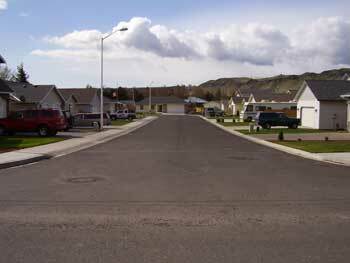 Naches Meadows is located within minutes of Applewood Park, Cleman's View Park, the Naches Post Office, Downtown Naches, Intermediate, Middle and High Schools of the Naches Valley School District (awarded Blue Ribbon Schools) and local services and shopping. Yakima, just fifteen minutes west of Naches on U. S. Highway 12, is the center of shopping, medical care, business, and entertainment for Central Washington. 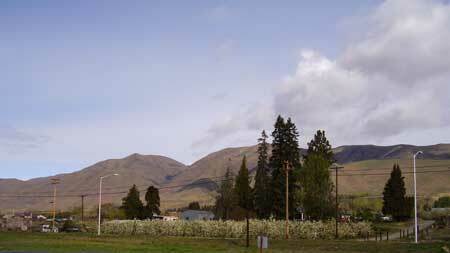 Many of Naches' residents choose to live in Naches and drive the 15+ minutes to Yakima for work. 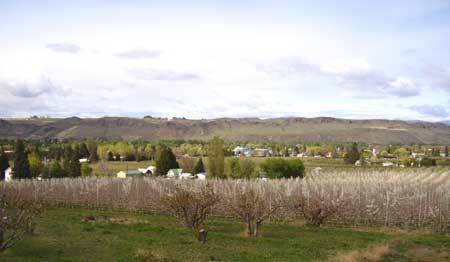 The Naches area provides small town living with recreational abundance. The Town is also the eastern portal for both the Chinook and White Pass Scenic Byways. 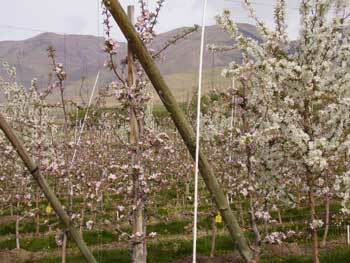 These Byways connect the west side of Washington State to the east side, which is known for its abundant agriculture and the popular Washington State wine industry. The two Byways run alongside the Naches and Tieton Rivers which offer great fishing and in the fall provide the excitement of whitewater river rafting. Just forty minutes west is White Pass Ski area which provides phenomenal downhill and cross country skiing and is looking forward to major expansion. The winter also provides wonderful snowmobiling experiences, cross country skiing, and other winter sports. Both elk and bighorn sheep herds are fed at Washington State Department of Fish and Wildlife feeding stations, which are just minutes from Naches Meadows. The spring, summer and fall provide biking, hiking, bird watching, and ORV opportunities in the nearby Wenatchee National Forest. Information on these and and abundance of other outdoor activities is available at the Naches Ranger District. 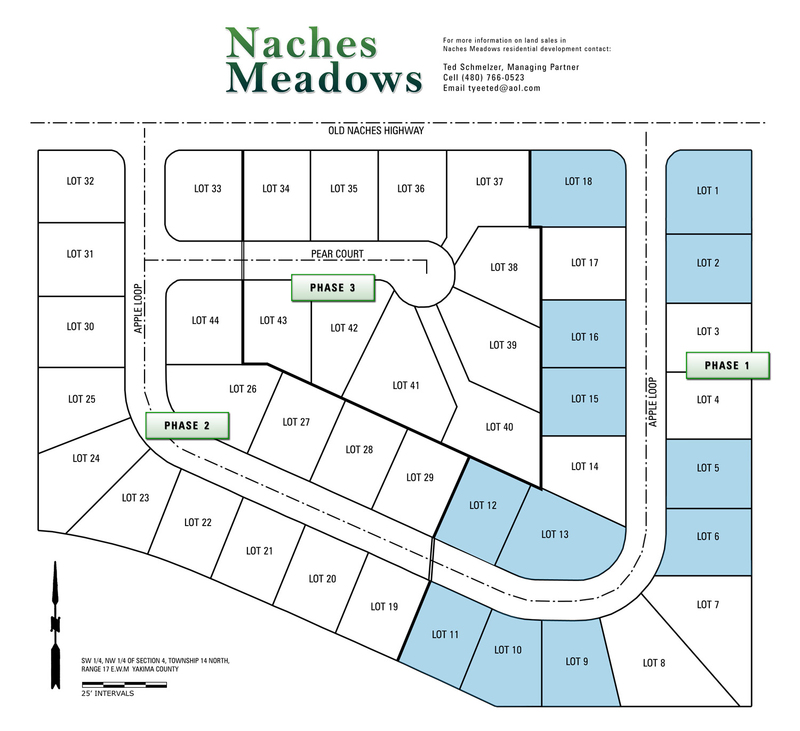 Naches Meadows is being developed by the Knik Development LLC. Lot prices begin at $53,000. 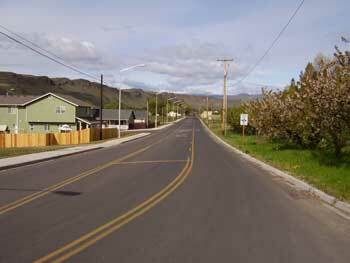 Water and sewer utility hookups are provided by the Town of Naches. The water hookup fee is $650 (3/4 inch) and the sewer hookup fee is $1,250. 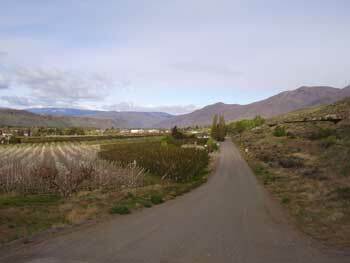 The subdivision is accessed through through the Old Naches Higway ... and there are orchards across the street.